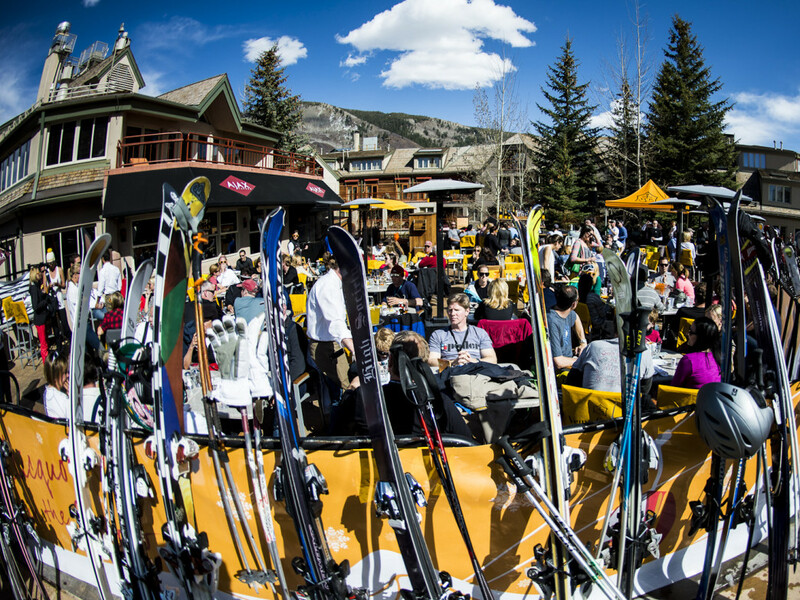 Après is a way of life in Aspen. Literally meaning “after skiing” in French, it is a tradition that has become a day-to-day ritual. The mountains in Aspen are steep and technical, putting skiers to the test. And after a long day of working out your legs, there are plenty of options to kick your ski boots up and enjoy a cocktail. But après in Aspen is also a social event, to see and be seen at a post-slope party. The bars and restaurants in Aspen each offer their own flavor for après, and each is very different from the next. Here are a few of the local favorites. Situated not more than 20 feet from the Silver Queen Gondola , there is no better place for people watching in all of Aspen than the Ajax Tavern . 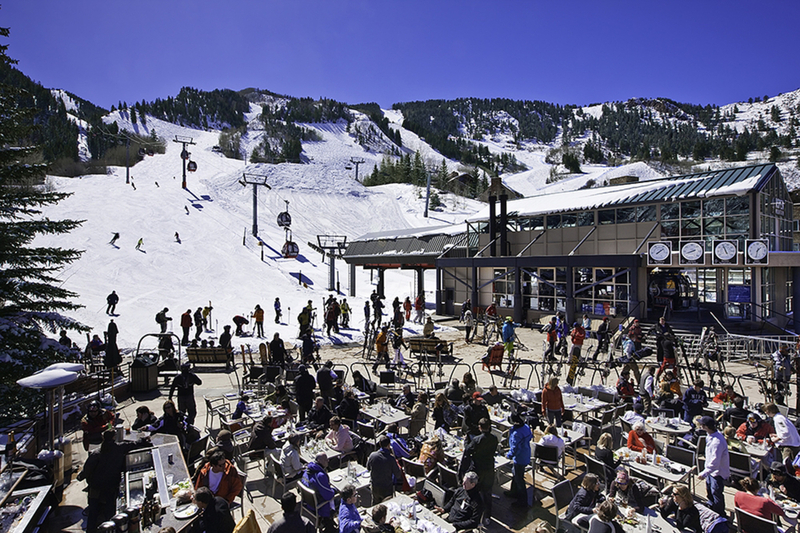 While glamorous, it is also still casual and you will find skiers on the patio of all skill levels. On warm spring afternoons it feels like a beachfront property, watching skiers shushing down the last laps on Ajax. A must have on the menu is the signature truffle fries, earned by a long day of skiing, and local beer to match. If you head over to Aspen Highlands ski area definitely test yourself on the ultimate StairMaster, the Highland Bowl. It is the crown jewel of Aspen, and a bucket list item for skiers around the world. The steep hike to an elevation of 11,675 feet is sure to make you thirsty though. 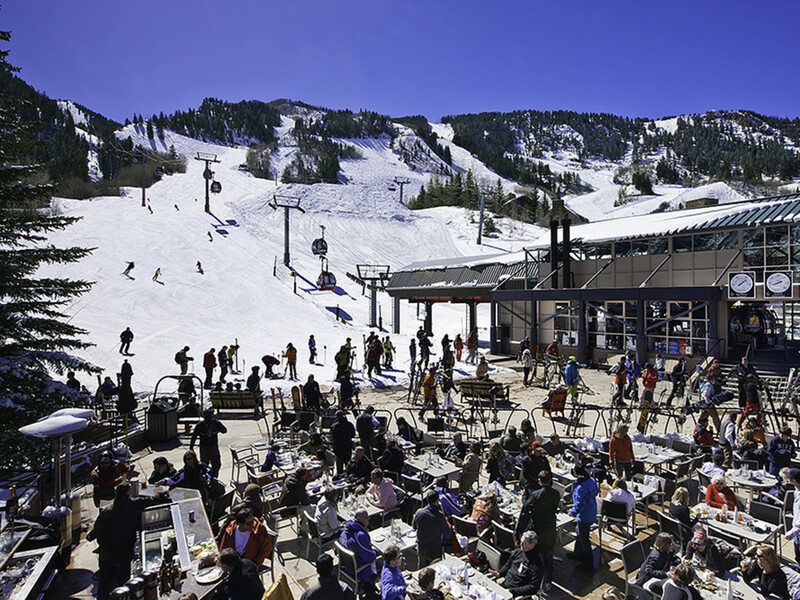 At the base of the ski area the deck of Highlands Alehouse is the spot for after-ski libations. Formerly the Highlands Pizza Company, they make the best pies in Aspen, a perfect carbo loading option after your hike, perfectly paired with a beer. 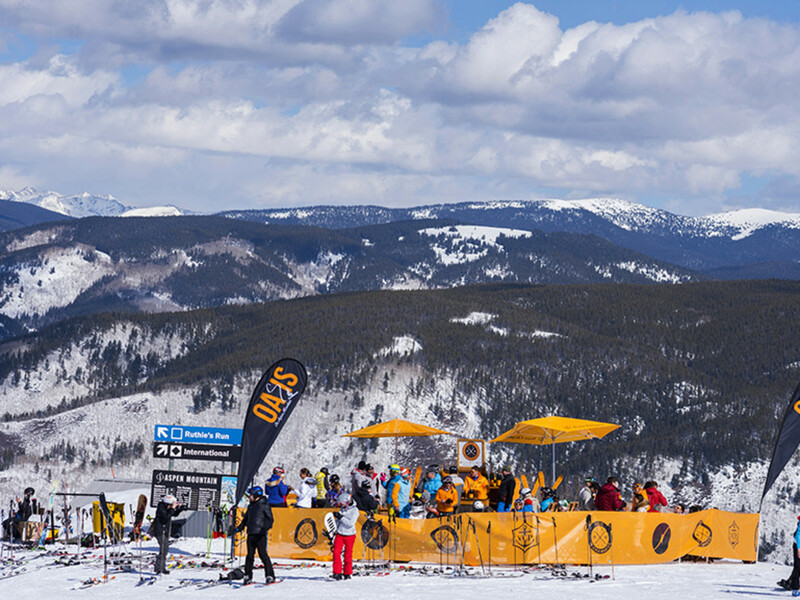 With a wide variety of suds on tap, try a cool and refreshing draft while sunbathing on the deck, talking to other skiers about which line they took down the bowl and how the snow conditions were. If Aspen has the reputation of having one of the best après scenes in the ski world, then the Sky Hotel’s bar 39 Degrees is the hippest in Aspen. The property is ski in/ski out and an absolute favorite among locals and visitors. Despite the plush décor and swanky lounge feel, patrons are still in ski boots nestled by the massive fireplace or relaxing next to the heated pool. Every afternoon a DJ spins dance tunes and keeps the ambiance lively. If you are feeling like you need to soak your aching muscles from an arduous day on Ajax, bring your swimsuit and sip one of their notorious cocktails in the hot tub. Every ski town has one, and in Aspen the local “ski bum bar” is the Red Onion . Locally called the Red O, they have been in the business of pouring drinks since 1892. After a day on slopes you can find ski bums of every age sipping drinks, eating wings, and watching sports on the massive TV screens throughout the historic bar. A true right of passage is when your old ski pass is glued to the bar counter top, alongside ski passes from the last 50 years. For a truly unique on-snow experience, on the weekend at Aspen Mountain you can chase down the party at the OASIS . Touted to be the only pop-up champagne and caviar bar in the world, it is mobile and moved to a different secret location every weekend in the spring. Hints to its location are posted on the social media channels for The Little Nell , a five-star hotel in Aspen. On a bluebird day, there is nothing better than sipping bubbles while taking in the stunning mountain vistas in every direction. Cloud 9 is nestled at mid-mountain on Highlands is a quaint alpine cabin with an unmarred view of the iconic Maroon Bells . But don’t be deceived. This cabin is home to some of the wildest parties in Aspen. The lunch menu features traditional Alps fare, like fondue and raclette. But as soon as lunch ends, the alpine après scene evolves from classy and refined to wet and wild, with dancing on tables, in ski boots no less, and spraying bottles of pricey champagne. Certainly not to be missed, Cloud 9 is an après-ski experience on par with the European tradition.